Is Minutes worth your time? Click to find out! If ever there were a reminder of the time we while away on video games, it would be Minutes. The concept is simple: move your cursor into the path of the colored lines to score points, and avoid the black lines to keep from taking damage. If you attain the set score in one minute, you beat the level and move on to the next. As you progress through the levels, new power-ups are unlocked, the speed of the levels increase, and the score threshold becomes more difficult to attain, requiring the implementation of a strategy. In a lot of ways, Minutes is very similar to mobile games like Candy Crush Saga or Angry Birds. They all feature the three-star system when scoring points on a level, different power-ups to unlock as you progress, and increasingly difficult puzzles. What sets Minutes apart is it’s smooth, fast gameplay and minimalist art style. The one-minute timer adds an almost frantic feeling, eliminating the possibility of analyzing the level to determine the best course of action, and things can get very hairy very quickly. The color-scheme and aesthetic is similar to Particulars. 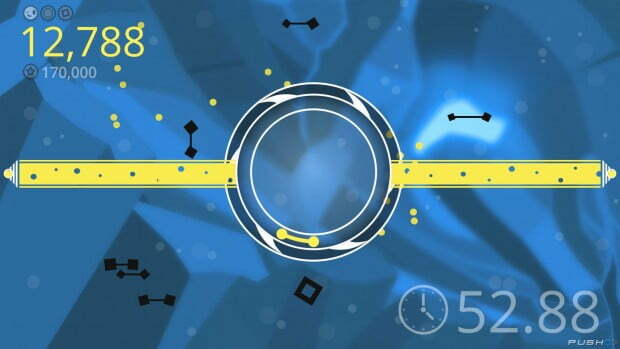 The player controls a gray circle set against a backdrop with a changing color scheme as different colored lines and shapes fly across the screen. While Particulars suffers from confusing color combinations on-screen, Minutes relies on two colors per stage: black and a brighter color that changes depending on the level. While this makes for a cleaner screen, the sheer speed that these lines and shapes move with, especially in the later levels, can make things hard to see, thought this be the point. Players have a number of abilities available to them as they progress, allowing them to slow down time, increase or decrease the size of their cursor, or heal themselves mid-level. Upgrades for these abilities can be unlocked by earning more stars, forcing the player to replay levels until they perfect them if they wish to unlock all of the power-ups. All the levels can be completed without acquiring every upgrade, but the daily challenges can be made significantly easier by unlocking these abilities. The daily challenges are the closest Minutes gets to any sort of competitive multiplayer. Players get as many chances to practice the challenge, but only get one opportunity to log an official score per day. You can then view global rankings and see how you stack up against other players. All in all, Minutes is pretty fun. I enjoyed the challenges, and the short timers on the levels means that this is an easy game to pick up and play for a few minutes, or for longer. If there is one real gripe I have about this game, it is that I wish there were more. The game ships with only sixty levels, and at one minute each the game can be completed in about an hour, and even at $8, the price seems a little steep. Minutes is a short, fun puzzle game that is a little light on content but offers options for replayability. 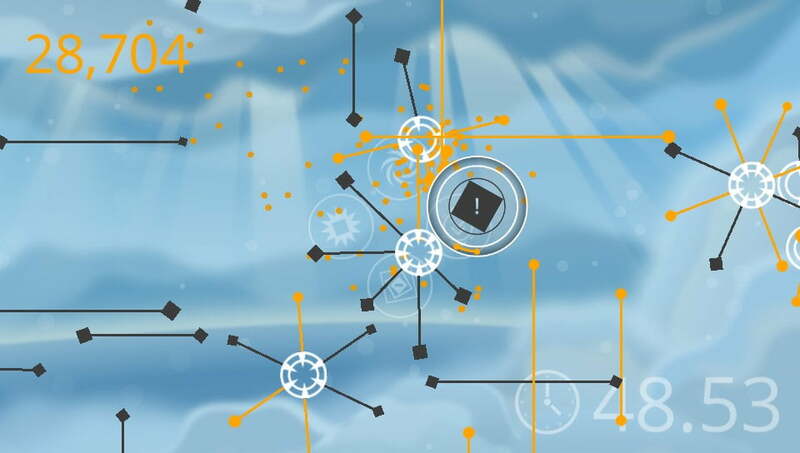 Fans of mobile puzzle games will enjoy picking this one up for a few minutes or a few hours.